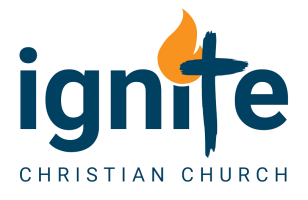 What Is Your Vision For Success Archives - Ignite Christian Church is the next area I want to talk about for this year as we move towards the New Horizons God has for us. HELEN KELLER WAS ASKED ONE TIME WHAT would be worse than being born blind. She quickly replied, “To have sight and no vision.” Yet look around, our world is full of people who lack vision, who are stuck in the mundane with no hope and no vision for the future. John Maxwell said, “The poorest person in the world is not the person who doesn’t have a nickel. The poorest person in the world is the one who doesn’t have a vision.” Without a vision the people perish… the Hebrew word for perish means to self destruct by cutting loose or going off the rails if you like. Hence the ESV translates it as… Proverbs 29:18 (ESV Strong's) Where there is no prophetic vision the people cast off restraint, but blessed is he who keeps the law.